At The PEAK Center, we offer programs that help you make informed decisions to improve your health and well being. The PEAK Center invites experts from throughout the area to talk about issues related to health and wellness. Find our wellness event and program listings here. We offer you a variety of exercise classes - from ballroom dancing to Zumba Gold- to meet your interests and needs. 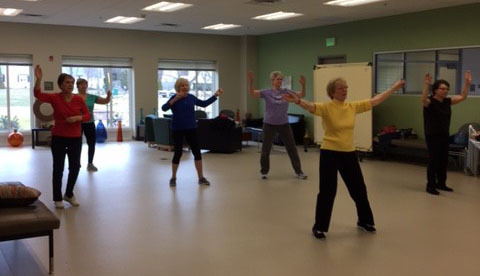 See our Keeping Fit page for all the exercise opportunities available at The PEAK Center. We offer a variety of wellness screenings to assist you in maintaining optimal health. FInd our screening and other events and program listenings here. We offer a variety of services to encourage the mind, body and spirit connection. To see upcoming Integrative Health Services offerings, click here.